Cainiao has been cooperating with Latvijas Pasts for delivering small packets ordered from Alibaba to customers in Latvia. Learn how Youredi helps Latvijas Pasts to track the deliveries. Cainiao has been cooperating with Latvijas Pasts for delivering small packets ordered from Alibaba to customers in Latvia. 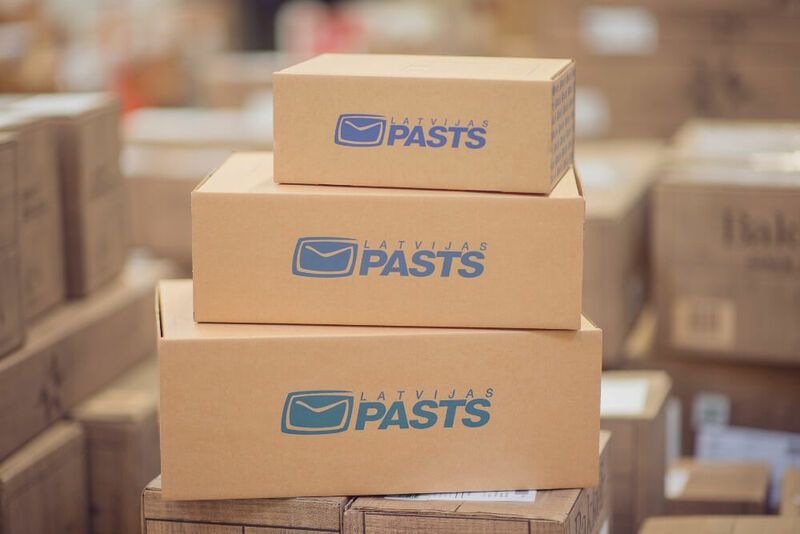 To provide outstanding service to the end-customer, Latvijas Pasts decided to offer order tracking service to keep the customers up-to-date on the status of their purchases. Latvijas Pasts committed to tracking all small packages purchased from AliExpress to improve the customer experience by providing visibility into the deliveries for their customers. To supply their customers with information, Latvijas Pasts needed to receive updates on all packages from Cainiao (the logistics company that Alibaba uses for deliveries). Latvijas Pasts had to find a data integration provider that would not only fully manage the solution on their behalf, but can also develop a challenging connectivity solution between the post’s applications and the systems of Cainiao that are located in China and secured by a firewall. Developing connectivity between the two trading partners meant that the status updates could be transferred between their systems easily in real-time. To enable the tracking of all parcel deliveries, Youredi needed to receive updates from Cainiao platform and send it to our customer, Latvijas Pasts. For this purpose, Youredi set up an interface to facilitate data exchange between the two trading partners. In practice, it means that Cainiao sends advance notices to this interface about all upcoming small packets that the company received from vendors that are selling their goods through Alibaba. Youredi gets the information on each shipment through the interface. When a message reaches the interface, our solution validates that the message arrived in the right format. The solution then will go one step further, and the logic verifies if all the necessary information required by Latvijas Pasts are included in the message. Messages are also validated using a message digest that Cainiao adds to the requests. After preliminary handling, if the message turns out to be invalid, an error code is returned to Cainiao for enrichment. - A certain number of items have been added to the batch (e.g., 1000 messages). If either of these two happens, the batch will be processed. In this case, Latvijas Pasts requested to send the information in batches to reduce the load on their server. Once the batch is ready to be processed, it will be handled by an LP-specific procedure. First, the batch of advance notices is transformed into the IPS standard XML format used and understood by LP. If the transformation is successful, next, the batch of advance notices is sent to LP FTP server. Only after all these steps, the information will be readily available for the customer. By using the Youredi’s fully managed integration services to create connectivity between the systems of Latvijas Pasts and Cainiao, Latvijas Pasts did not need to change anything in their existing systems that were otherwise only capable of receiving tracking information in the standard IPS format. This way, Cainiao could send all status updates in their own data format. Youredi did not only take care of system integration in this case, but we are also routing the messages, helping Latvijas Pasts with data validation and enrichment to ensure high data quality so they can show correct information to their customers. Youredi also does the initial screening, so if e.g. certain types of advance notices are not handled by LP, Youredi filters them out automatically so that they don’t become an unnecessary burden to the systems or personnel in Latvia. Nevertheless, the best benefit of all is that Latvijas Pasts could improve the customer experience. In an e-commerce driven world, it is vital for a company to track and trace all shipments and provide real-time shipping information to the buyers. Providing this information without an integration solution would be challenging.